Bangladesh is an amazing country. 162 million people live in this country with a total area of 55600 square miles giving her an amazing population density of 1100 people per square kilometer compared to India’s 360 people per square kilometer. This country is one of the richest countries of the world in water resources. Yet Bangladesh is a poor country. Per capita GDP (Purchase Power Parity)) is just US$ 1465. The country is a natural target of Typhoons and Cyclones which originate in the Bay of Bengal and routinely and regularly bring devastation and misery to the people. Globalization has brought, along with opportunities, many evils for the land and the people. Tiger prawn farming is causing devastation of the sea bed corals. Cheap labour of Bangladesh is being exploited by the rich world’s economies with many a sweatshops producing cheap clothing. Yet, even with all the misfortunes and the drawbacks faced by this country, I admire Bangladesh. She is one of the very few Islamic majority countries in the world, who has managed to fix up her priorities and has set up fair guiding principles, which guard freedom to her people. But a decade or two later, Pakistan lost its way. No doubt, religious fundamentalism always exists in some form or other in any society. It is really up to the leadership of the country to see that this fundamentalism is always kept at bay. In Pakistan however, military leadership took over and found that adopting this religious fundamentalism, is an easiest way to the popularity. As a result of this policy shift, erstwhile East Pakistan or today’s Bangladesh suffered like a neglected child. This half of the country, was quite different from the west part with its belief in religious tolerance, ideas about individual freedoms and a completely different kind of social fabric. 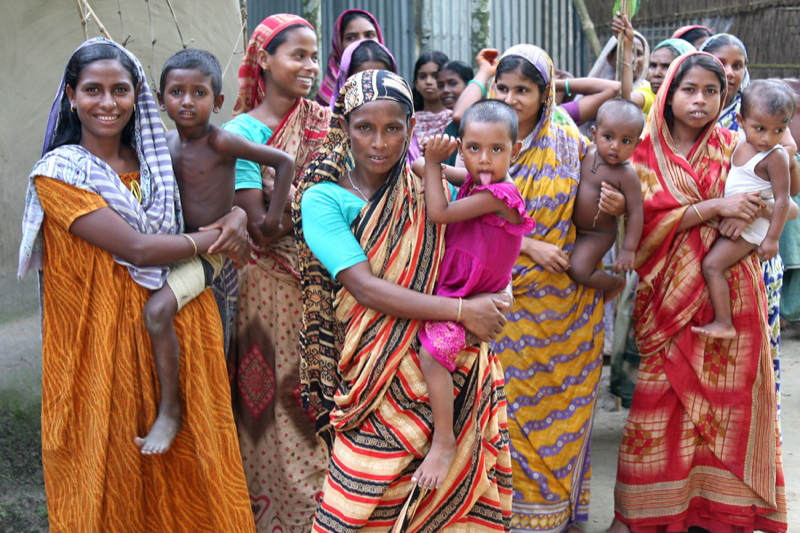 Women have been traditionally quite independent in Bangla. Essentially, this place was worlds apart, when compared to the male dominated oligarchical societies of West Pakistan. I need not go into history, but 1971 saw the birth of independent Bangladesh. Here again, the beginning was on the right note. The constitution of Bangladesh as adopted in 1972, mentions 4 guiding principles. These guiding or fundamental principles are described in the preamble to the constitution as “Secularity, Nationalism, Democracy and Socialism (meaning economic and social justice for all)”.Next few years however, again saw a turmoil in the country, very much on the lines of Pakistan. Military dictatorship took over the country. Perhaps copying from Pakistan, they also thought that bringing in religious fundamentalism might put them up on popularity chart. So they dumped the first guiding principle of the constitution or “Secularity” and replaced it with a phrase “Absolute trust and faith in the Almighty Allah shall be the basis of all actions.”. This changed the secular Bangla to an Islamic republic.. The military dictatorship thought that getting this change adopted by the constituent assembly of Bangladesh, would make this country, finally and permanently, an Islamic republic ruled by the preachers of religion and effectively by the military. People of Bangladesh perhaps never approved the way these things were worked out for them and elected liberal Sheikh Hasina’s Awami League party in 2008 with a resounding victory. The new Government, gave a priority to setting up things right about Bangladesh constitution. In January, 2010, the Bangladesh Supreme Court observed that parliament does not possess any authority to suspend the constitution and proclaim martial law and hence, it cannot legitimize actions of martial law regimes. The judgment paved way for restoring the original four fundamental principles declared in the preamble to the constitution, including secularity. The Supreme Court followed with a July 2010 ruling, scrapping provisions which allowed religious parties to flourish after 1979. The ruling is expected to pave the way for a return to complete secularism in Bangladeshi law. Now you would understand, why Bangladesh amazes me. Very few countries of the world like Turkey, have managed to salvage themselves from the clutches of religious fundamentalism. Not only Bagladeshis have done this but they have also seen, that in future no one would be able to do this again. to them. Once a country gets trapped in this religious quagmire, it becomes an uphill task for the people of that country to get them released from the morass. And yet within couple of months from this historic decision, the High Court of Bangladesh has done it again. The High Court of Bangladesh has ruled that no-one can be forced to wear the burka(veil) or full Islamic headdress. This follows a similar but more limited ruling in August that women could not be forced to wear the burka at work or in schools or colleges. The court also said that all people have right to practice own religious functions but the religious dresses cannot be forced to anybody. Every human being has rights to wear dresses after maintaining decency. While giving reasons for it’s ruling, the court said that “secularism is one of the four principles of the constitution… and no-one can be forced to wear religious attire in the secular state”. The burka or veil is a very contentious matter in many countries. In Saudi Arabia all females in spite of their religious faiths are forced to wear a burka. It is also one of the very favourite kind of diktat from Taleban fanatics. Yet, like a fresh breeze, this Bangladeshi court’s ruling, brings a ray of hope and sunshine for many womenfolk in many parts of the world. This is why I admire Bangladesh. Hats off to them. They need to be on their guard in future however, because past experience from India shows that Personal freedoms and power to choose, is something that can never be taken for granted. One has to be ever vigilant and watchful to ensure that no one would even dare to make an attempt to take the individual freedom away.